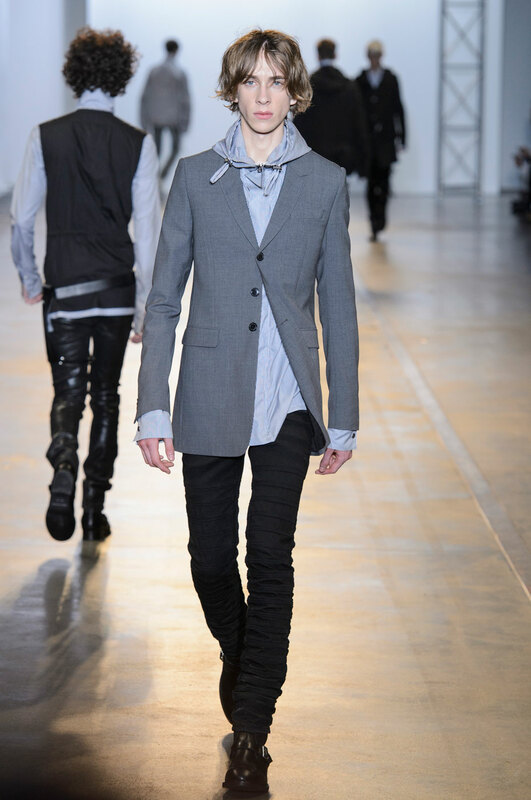 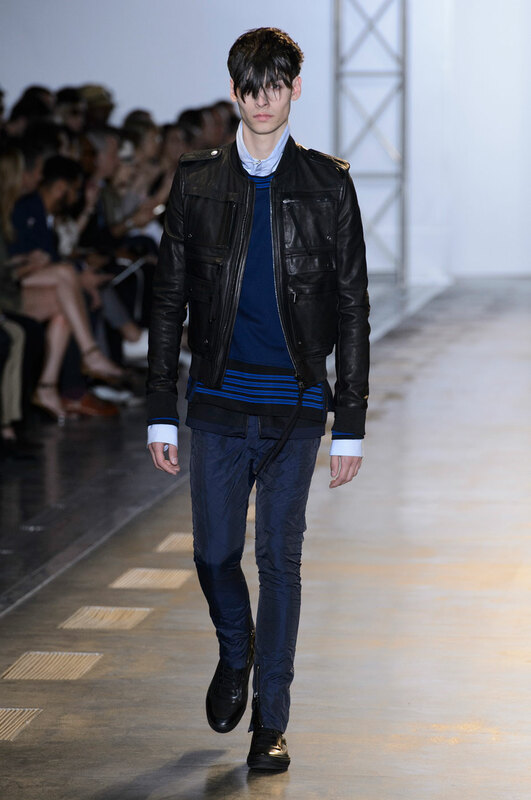 True to it’s iconic rock star image, Diesel Black Gold Men showcases a collection that rebels against uniformity. 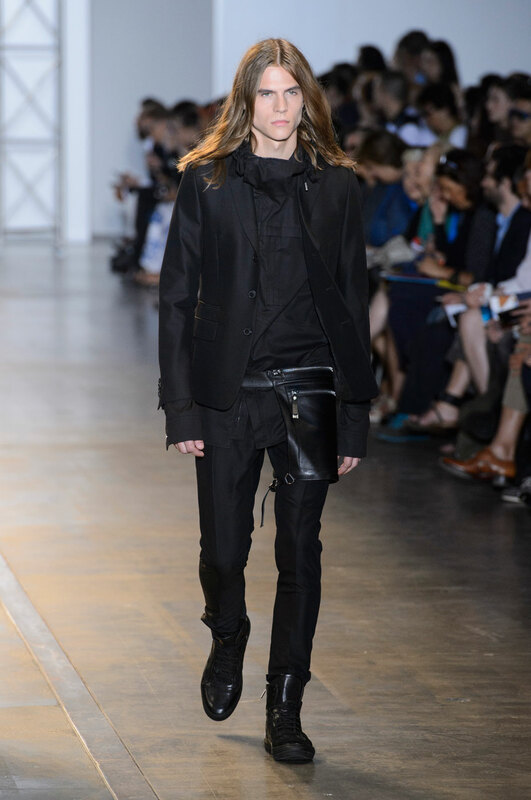 Deep Midnight blues and blacks saunter down the runway , with an updated futuristic vibe to highlight the modernity of the collection. 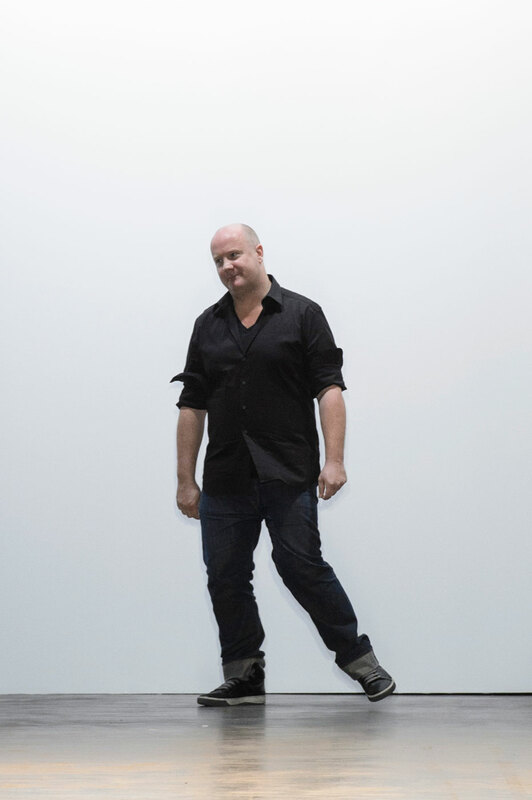 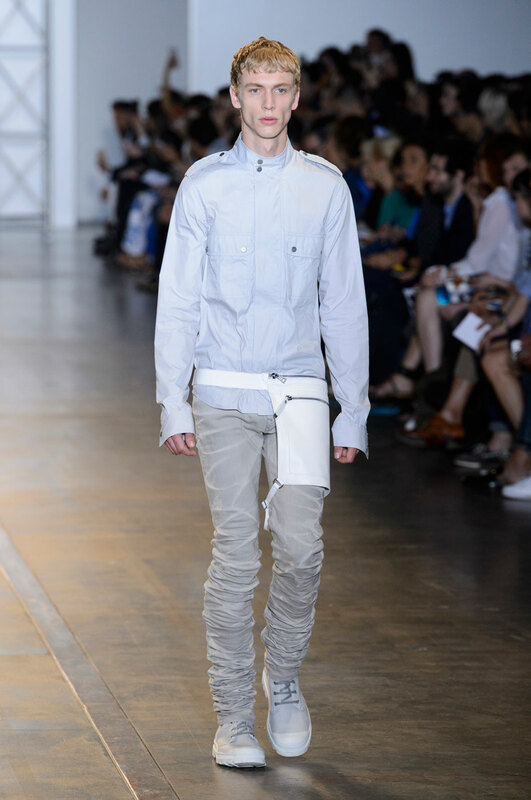 Renzo Rozzo explained that the concept behind the iconic menswear brand was to reject ” the slavish trend following typical of the fashion industry” and create a collection that would offer something unique to it’s target audience. 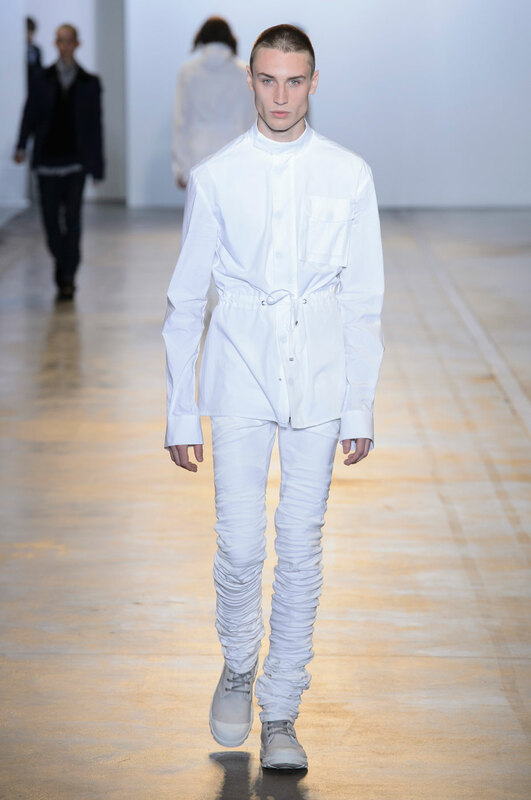 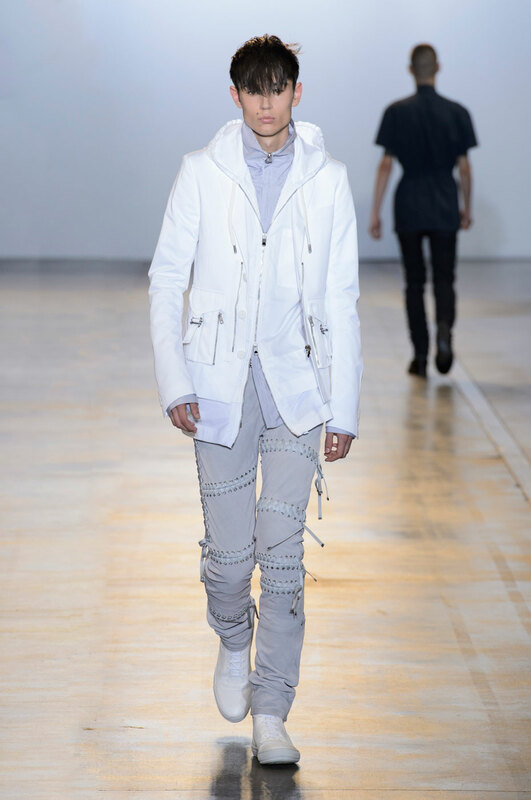 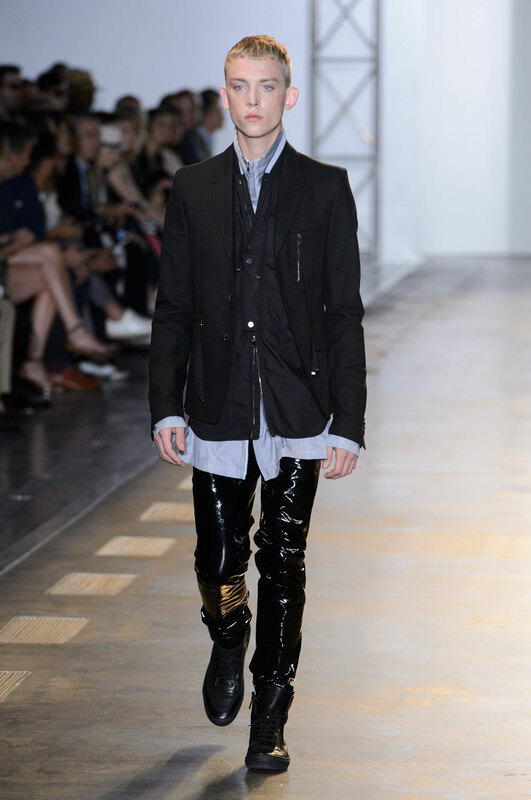 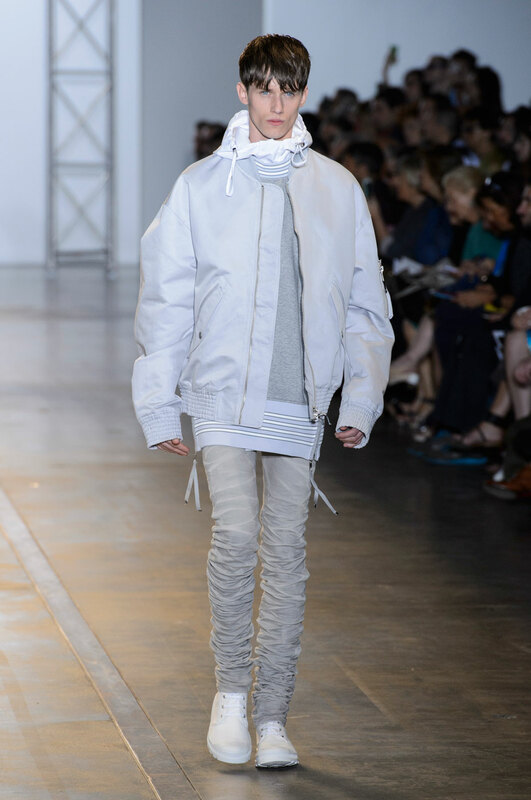 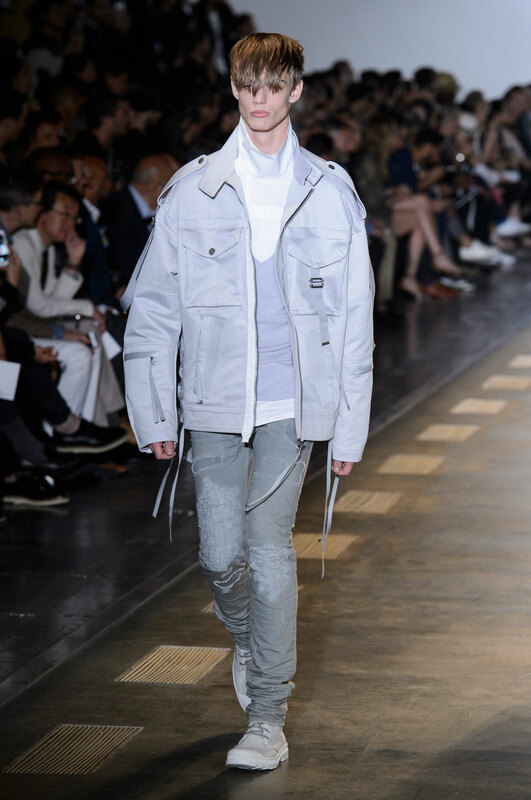 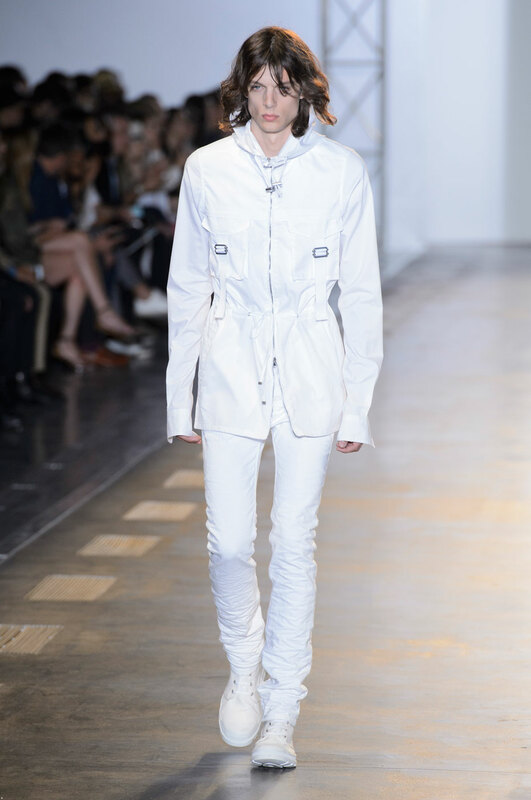 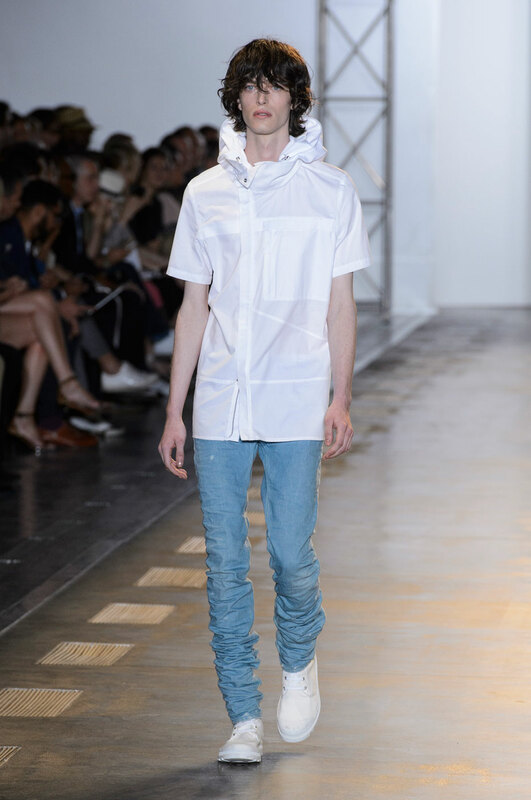 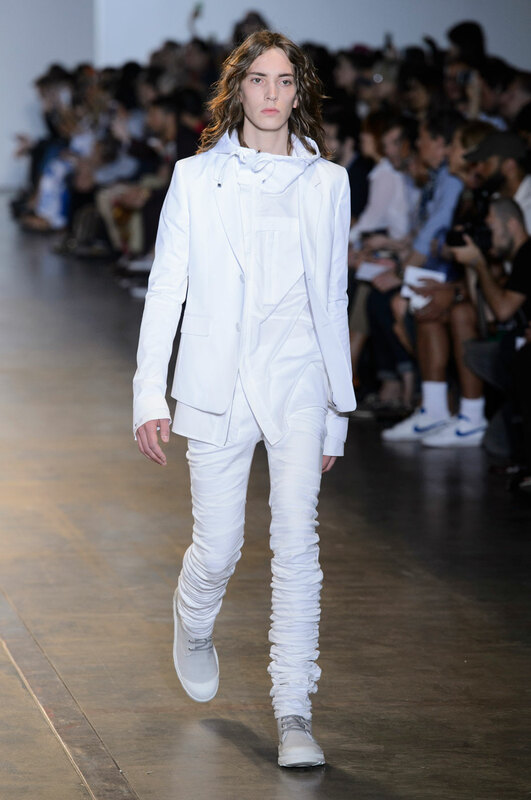 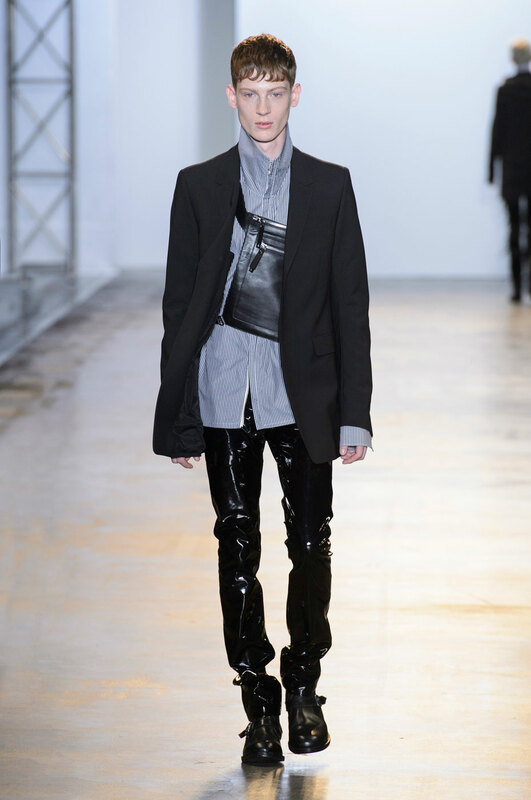 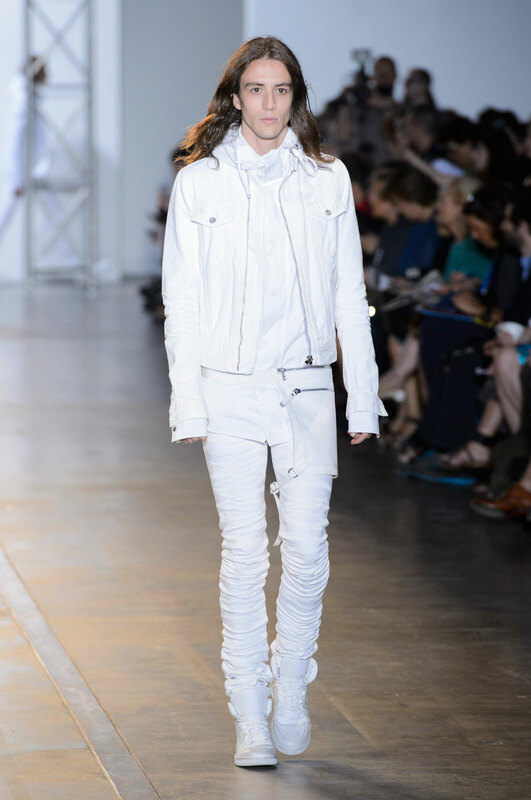 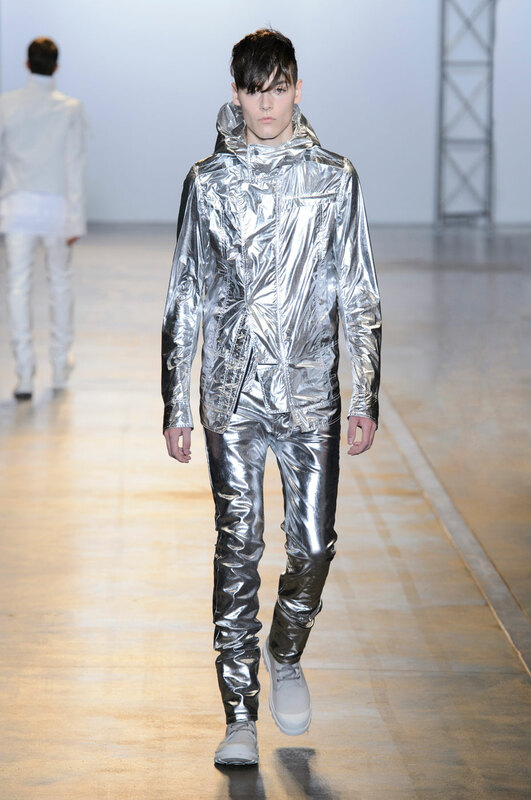 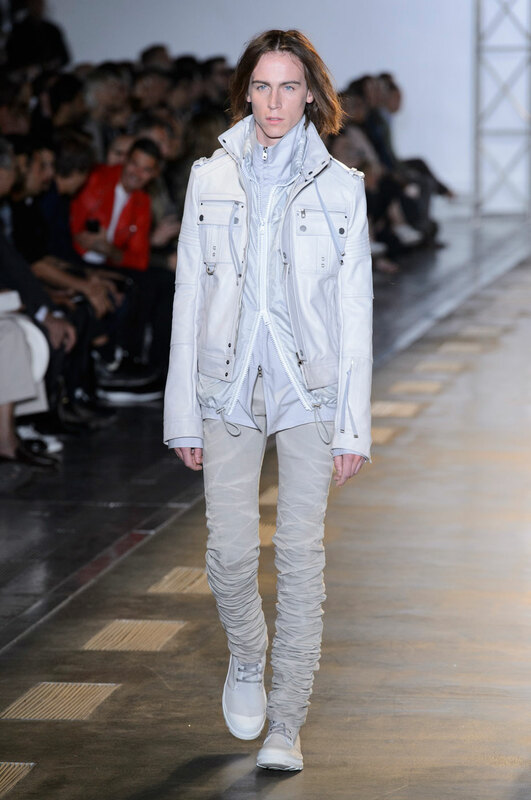 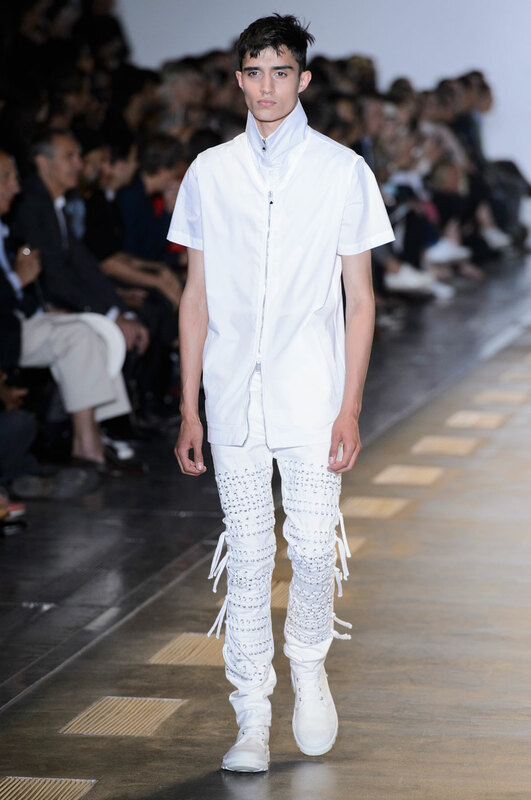 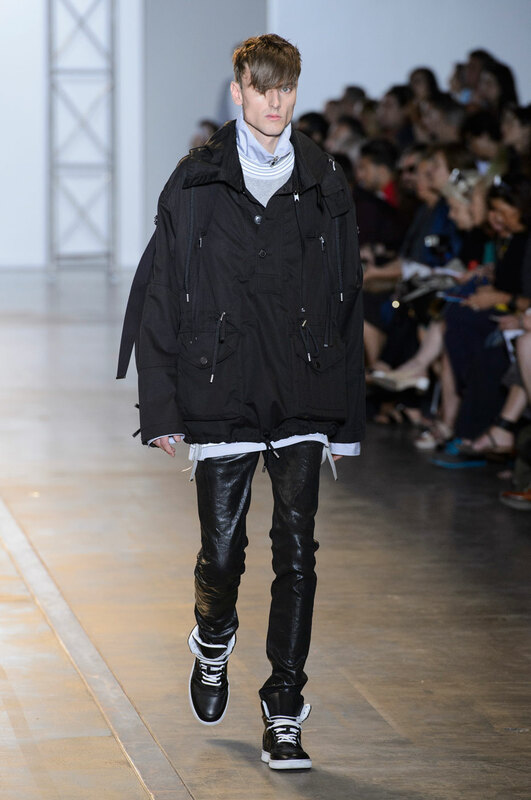 Unlike his SS15 collection , the traditional rock star is no longer attainable but unattainable , with ruched high sheen metallic silver trousers and a matching raincoat to add to his resume. 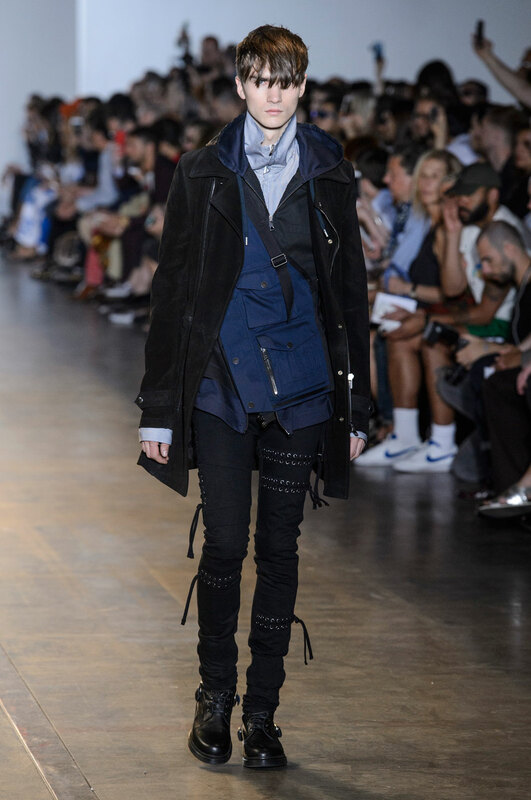 Silhouettes are boxy, complimented by streamlined or straight legged trousers that balance out the proportions of each outfit. 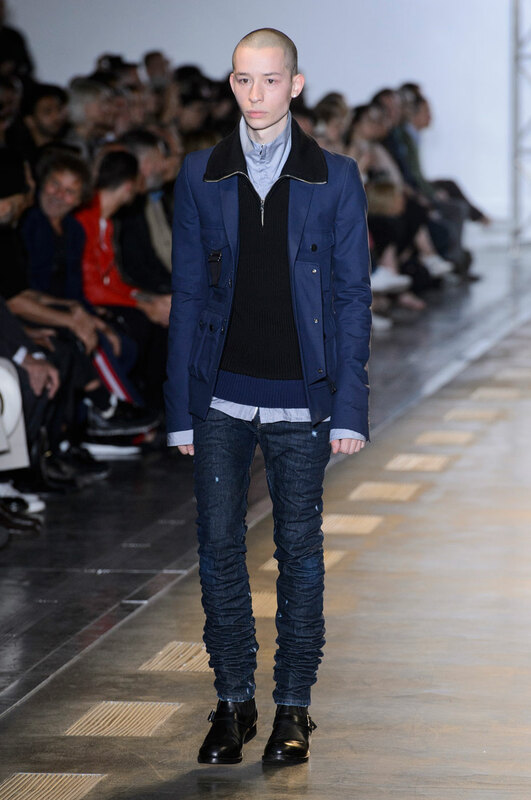 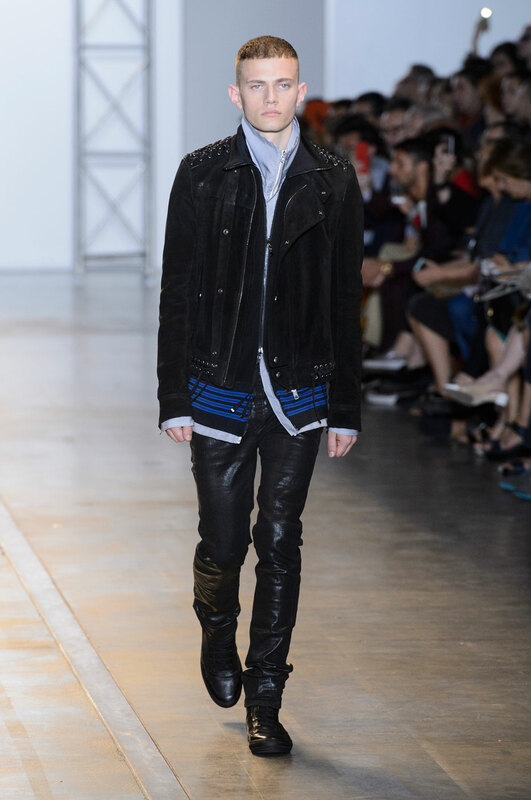 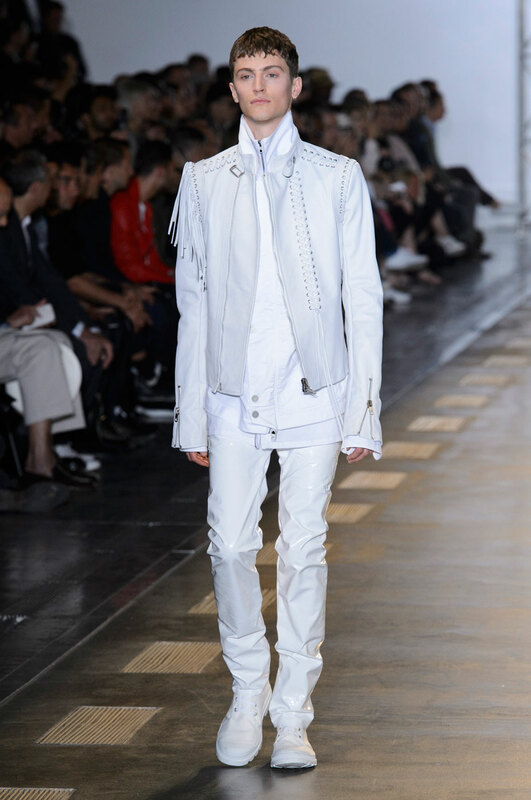 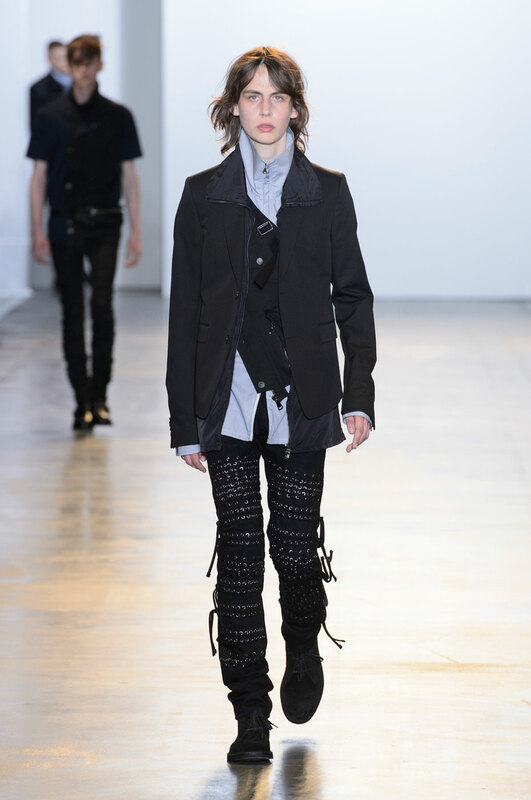 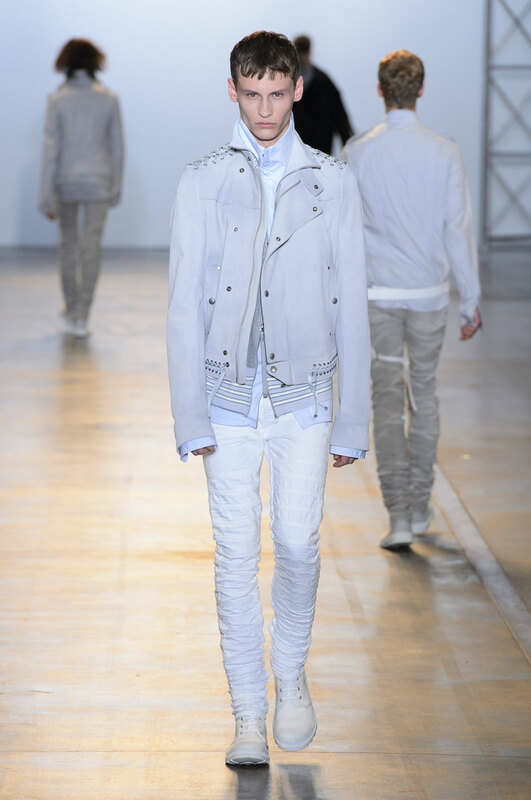 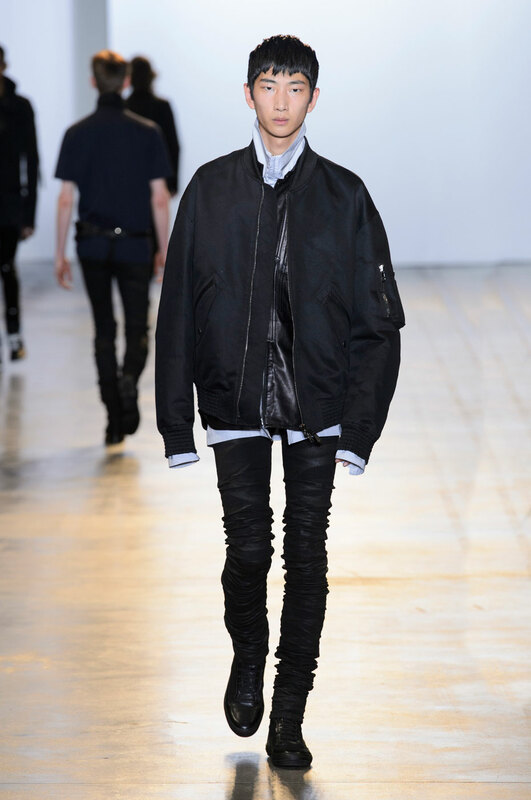 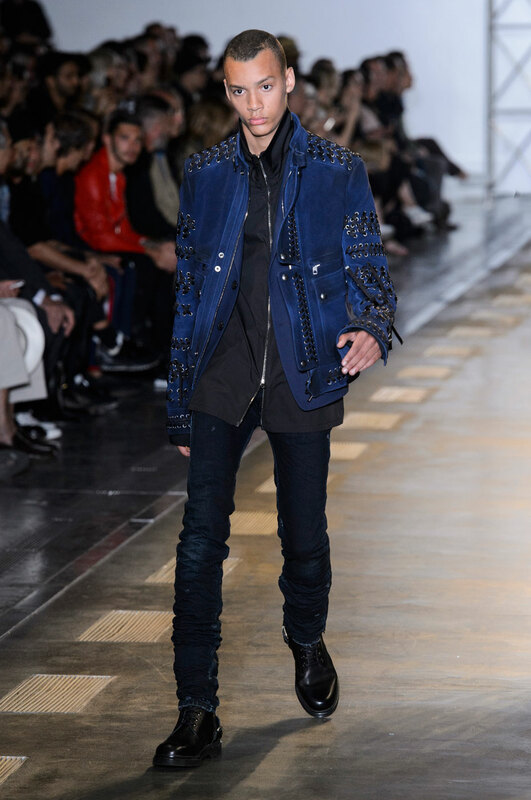 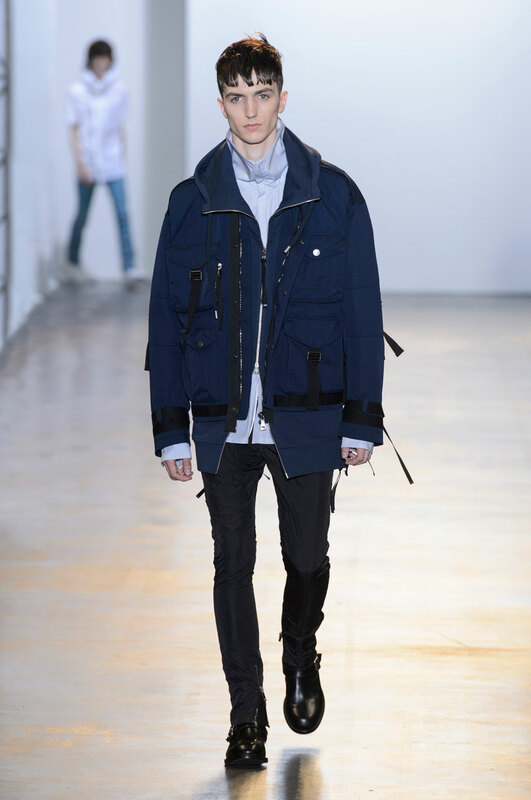 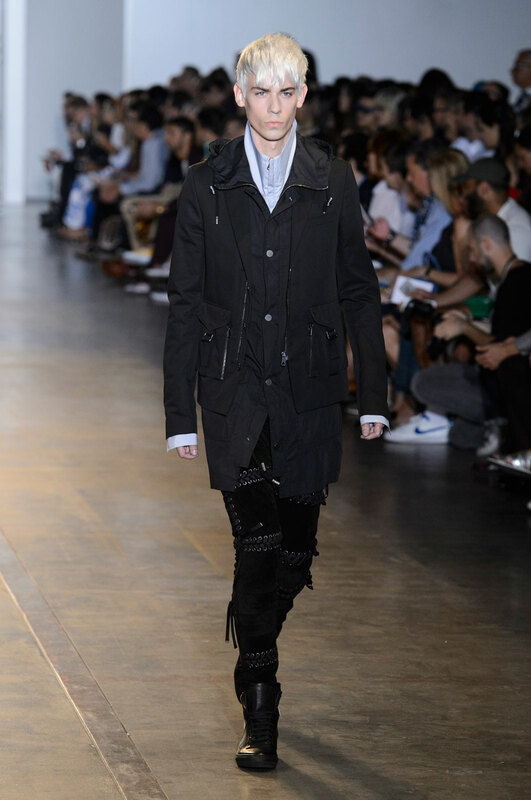 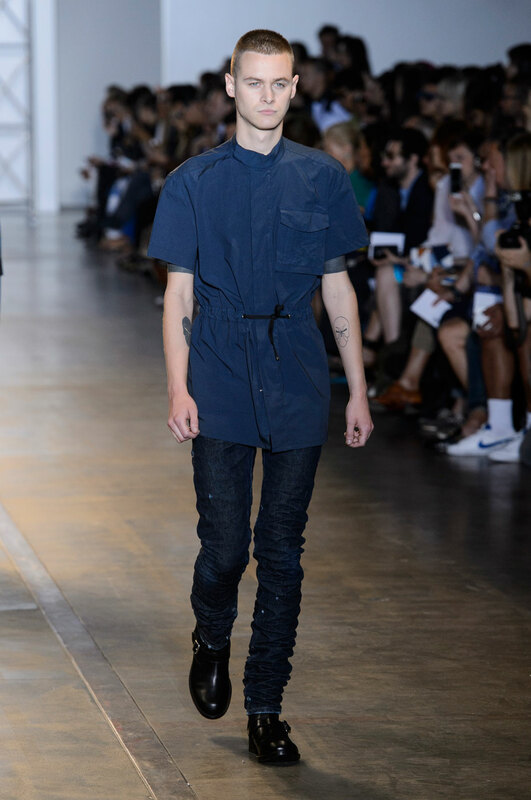 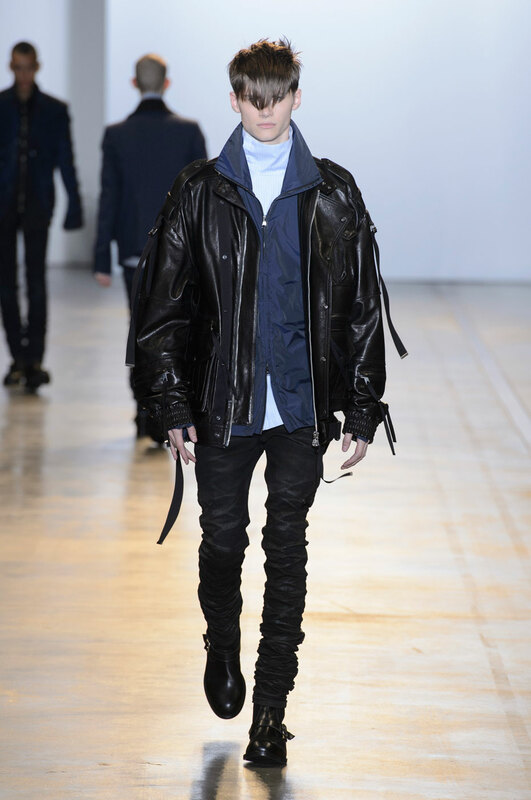 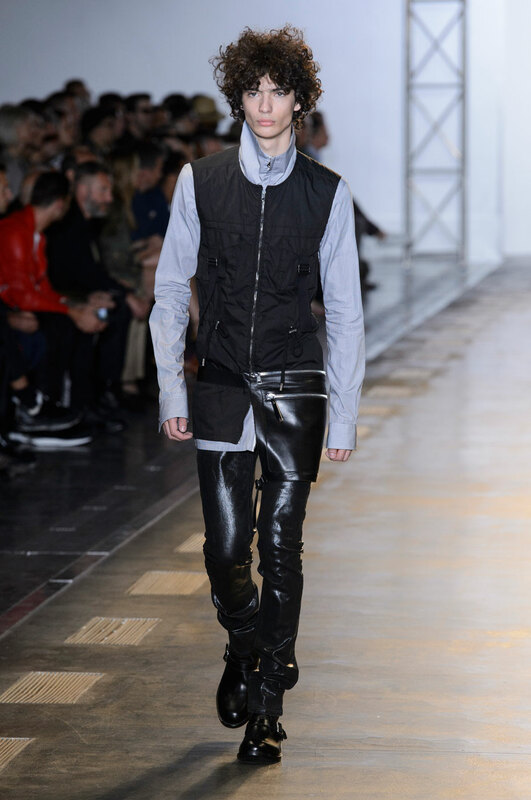 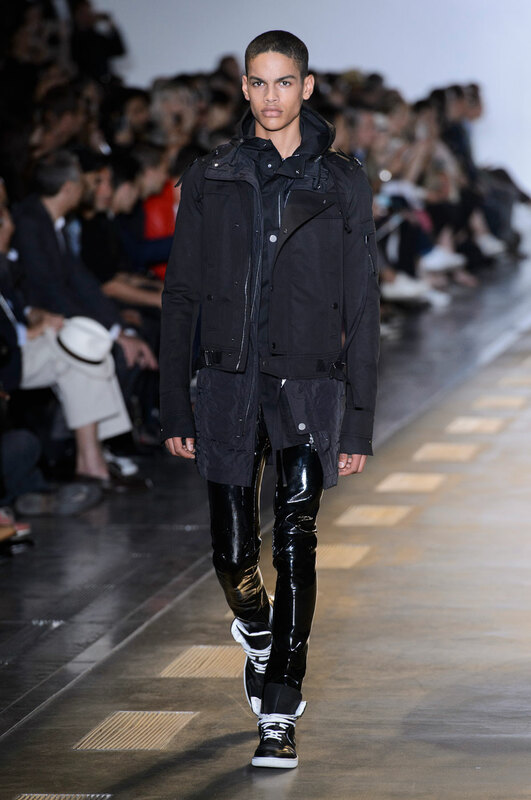 Each individual model taps into his inner rock star and channels impossible cool, whilst emphasizing the fluidity of Diesel Black Gold Men’s designs.